CREATIVE LICENSE - Artist Elaine Weiner-Reed (EWR) presents her Official Art Blog. In it, she shares her thoughts about art and the creative process, ideas to consider, and musings on life and how it connects to this artist's thought and work processes. Be sure to check out her Creative Collaboration Initiative "Every Painting Is A Song | Every Painting Is A Story" - Where writers and musicians respond to her work. Giclee limited edition artist-signed prints in sizes that meet your personal needs and price range! 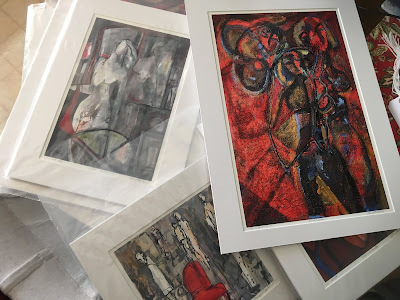 Giclee prints are now available of some of Elaine’s original acrylic and mixed media paintings. The beauty of prints is that you can get the image in essentially any desired size. Giclee prints can provide a fresh look for your home and office. Because for more than 20 years, you and other collectors and patrons have asked for them. As most of you know, I paint large-format paintings, typically 20 inches or more on a side. The reality is that they are frequently too large for many people's homes - people who longed to own them. One individual confided to me that she would like to have my painting "Mirror, Mirror" for her dressing room, her special place. The sticking point was that my original acrylic on canvas painting measures 24 inches wide by 36 inches tall. Much too big for her space. When I ran into her and told her I was looking into prints, she was ecstatic! Another issue some people have that I can relate to is the cost to purchase an original painting. 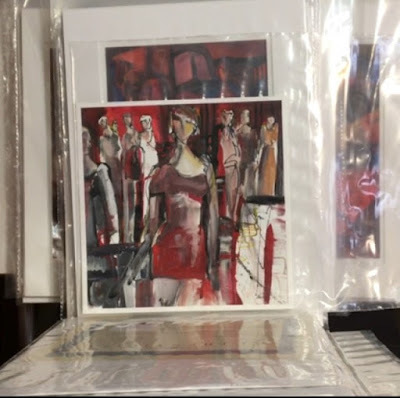 Many individuals and families find an original artwork to be temporarily beyond their means even with custom layaway options. Yet, they love the artwork. I have seen the longing in your eyes and heard it in your requests. Finally, I took the leap this year. I am now slowly investing in having high-resolution images and am offering Prints On Demand. Contact me directly to place your order. Also - let me know if you see a painting for which you would like a print. If I do not have it available yet (i.e. many large paintings from my website or Instagram), your deposit will get the process started. 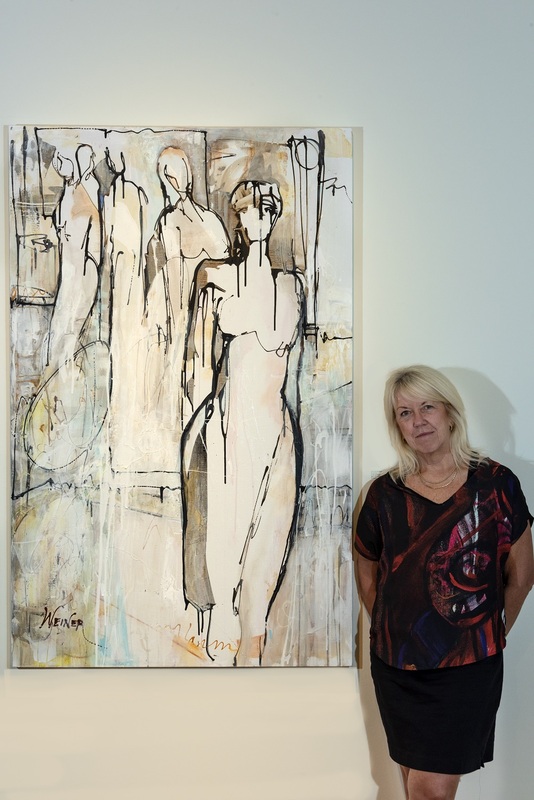 I paint for and about life, so it stands to reason that my artwork takes on new life and meaning and voice when it lives among others, connecting to new lives. It is something like raising a child... As a parent, it is when our children run and fly on their own that we as parents find even greater joy in our creation. Connecting. Life is not meant to be lived in a vacuum. Nor is my art. "Are there significant quality differences between a giclee, a serigraph and a lithograph?" Fact: In terms of resolution, a giclee print has the highest resolution and color range. Giclee printmaking offers one of the highest degrees of accuracy and richness of color available in any reproductions technique. Giclee printmaking provides a luminosity and brilliance that represents the artist's original work better than any reproduction technique available today. A serigraph is created when paint is 'pushed' through a silkscreen onto paper or canvas. A different screen is used for each color in the print, and this results in a print with great color density and many qualities of the original piece in terms of color saturation. This process also adds some texture to the final product. A lithograph is the least manually intensive reproduction technique, and in turn, is not as expensive as a serigraph or giclee. Although images can have a high resolution, and excellent appearance, they will not have the same degree of resolution or color density as a serigraph or giclee. As always, be sure to do your own research, but in the meantime, check out this info I found explaining some more tips for collectors. Email me for price quotes and purchase requests. Archival Arts is my only authorized reproduction agent other than Saatchi Online. Click here to learn more about the giclee prints I have made. They are the highest quality. I compare print proofs with my original paintings BEFORE approving the final print image. Charge cards and PayPal accepted. Ask about our installment plan. To see more of the artist's available artwork, please visit: Saatchi Online. All Artworks on this Website are Copyright © by Artist Elaine Weiner-Reed and may not be copied, linked to, distributed, downloaded, modified, reused, re-posted, reproduced or otherwise used without express written permission. If you are interested in learning how to license one of these images, please contact the artist. Help keep the art alive!